Life in the Appalachian mountains just wouldn’t be the same without corn. Our heritage is wrapped up in cast iron skillets full of golden cornbread, black cauldrons full of hominy cooking over open fires, and stills full of moonshine hidden in the woods. Corn in its many guises has sustained countless generations of Appalachians – both Native Americans and European immigrants alike. During the longest, coldest days of bygone winters our ancestors would have surely starved without its nourishment. The simplest corn dish, cornmeal mush, filled many a hungry mountaineer tummy during those lean months. 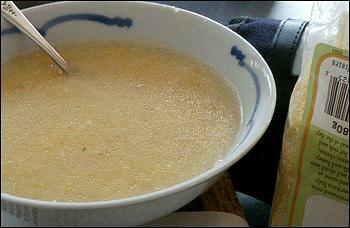 The thick, delicious porridge was a prevalent breakfast food long before grits came on the scene. Though most folks consider grits to be particular to the southern mountains, grits are, in fact, a relative newcomer to the Appalachian diet. This was the case in my family as well. On the coldest Saturday mornings of winter, I often woke to find my stepfather stirring up a large pot of mush for breakfast. The family gathered around the table and ate it steaming hot, with puddles of melted butter and pure maple syrup on top. If any mush was left over, he scraped it into a greased loaf pan and let it cool, then covered and refrigerated overnight. The next morning, the porridge had magically solidified and could be sliced and fried in a big skillet. The result was a wonderful crispy exterior with a creamy center. Grits didn’t become a part of my diet until I was grown and moved to the Charleston Lowcountry. Grits are taken very seriously there and are served all day long, topped with a wide variety of ingredients. I tried them for breakfast, lunch and dinner. I even spent my first summer in the city fixing grits a different way each morning. I never did learn to love them with the same passion they seemed to evoke from everyone else. In my mind, grits simply can’t compare to the thick, delicious mush I have eaten every winter since I was a child. Maybe I’m just a mountain old-timer at heart. Here’s my favorite recipe for cornmeal mush -- an all-natural and simple vegan breakfast if ever there was one! When making mush, start with the freshest cornmeal you can find. My Grampy is still grinding meal for our family; the freshness makes all the difference in taste and texture. And actually, my stepfather swears that mush won’t set up for frying unless the cornmeal is fresh. Take his word for it and buy fresh meal from a local mill if you can. In heavy, medium, non-stick saucepan, bring water, oil and salt to boil over medium heat. Gradually add cornmeal, stirring continuously with a wire whisk. When mixture starts to thicken, reduce heat to low. Continue to stir until mush is quite thick and creamy, about 5-10 minutes. Serve at once with butter or margarine and sorghum or pure maple syrup. Alternately, scrape mush into a small loaf pan or rectangular plastic container. Allow to cool, then cover and refrigerate overnight. Slice the loaf and fry pieces over medium heat in a non-stick skillet or well-seasoned cast iron skillet until browned on both sides and warmed through. Again, serve with butter and sorghum or pure maple syrup. Cornbread has been a staple on American tables for generations. From pones baked up in cast iron skillets in the Appalachians to loaves laced with spicy peppers in the Southeast, cornbread has been the staff of life for many families. 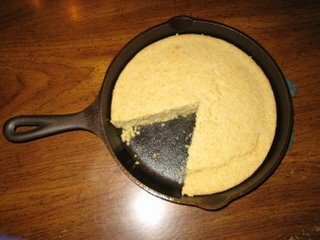 But today, key ingredients vital to making such simple fare as cornbread are tainted by genetically modified organisms (GMOs). Multinational companies are tinkering with the genes in important foods like corn, canola, sugar and soy to create all-new organisms. While these companies and some scientists say the foods are safe, the skeptical voice is strong. Leaders in the health, scientific and farming communities are raising serious questions and getting very unsatisfactory answers. Will pollen from these altered plants kill butterflies and other beneficial insects? Will these foods cause allergic reactions in sensitive individuals? Is it morally, ethically or religiously right to modify foods in this way? For now, the U.S. Food and Drug Administration does not require genetically modified foods to be labeled. When you purchase food for your family, you have no assurance that your choices are safe unless the food is organic. If you are concerned, support organic farms with your purchases, write letters to your elected officials and educate yourself on this issue. Greenpeace’s True Food Campaign Web site is a good place to start; click on www.truefoodnow.org. Small changes in your kitchen can make big changes for your family and the world. Start with the simple things – like cornbread. 1. Preheat oven to 400 degrees. Lightly grease a 9-inch seasoned cast iron skillet or round baking dish. Set aside. 2. In a medium mixing bowl, whisk together cornmeal, flour, baking powder and sea salt. Add soymilk, canola oil and maple syrup. Use a rubber spatula to stir until thoroughly combined. 3. Scrape batter into prepared skillet or baking dish. 4. Bake for 20-25 minutes or until a probe inserted into the center comes out clean. 5. Cool 2-3 minutes. Cut into wedges and serve immediately. 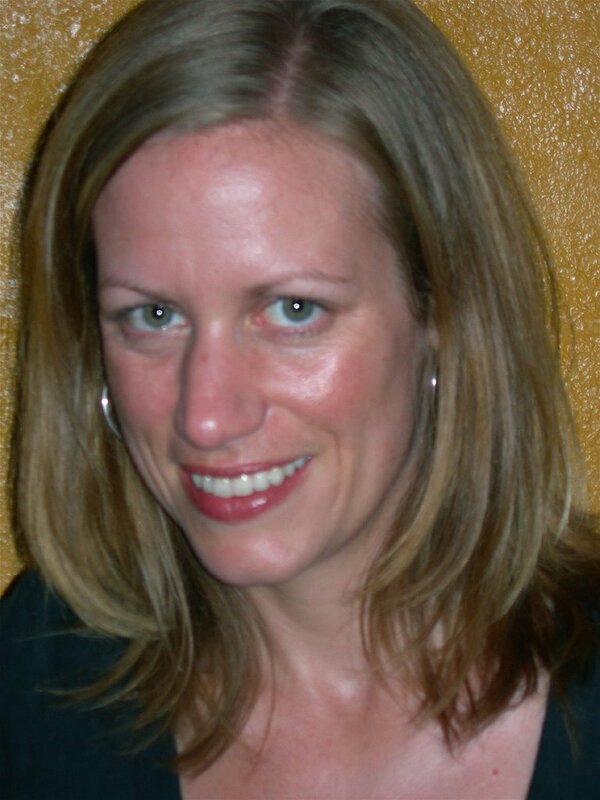 If you picked up the January/February 2007 issue of VegNews, you may have already met lifelong vegetarian Alli Marshall. She was the featured reader on the last page of this great magazine. 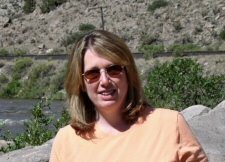 I was intrigued as I read her profile and then was stunned to discover that she lives right in my town! How could I not feature her as this week's Veggie Hero?! 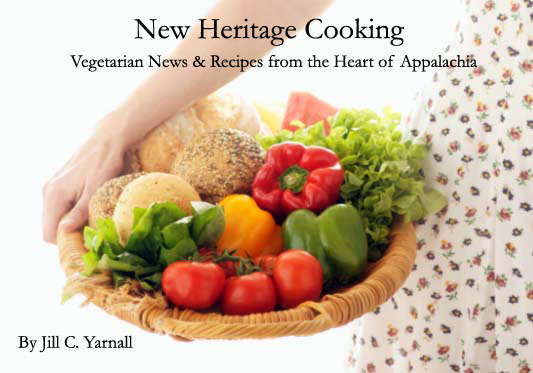 When not being the subject of veggie interviews, Alli is a features writer for Asheville's killer newspaper The Mountain Xpress. I've been a vegetarian my whole life and a vegan off and on. CurrentlyI'm eating a little dairy (I blame it on the Amish and their deliciouscheese), but I avoid eggs. 34 years -- my whole life! My parents lived in San Francisco rightbefore I was born and were introduced to the vegetarian diet by afriend. When they moved back to the east coast, they decided they wantedto try a natural, whole foods-based vegetarian lifestyle. They evenopened a natural foods co-op in the 1980s. Since I've always been veg, I guess I wasn't inspired, but there have been lots of inspiring vegetarians in my life. For example, my fatherand his wife are very involved with their community, educating studentsabout vegetarianism and growing a huge organic garden. When I was a child vegetarian food wasn't too common (luckily, I grew upnot too far from the Moosewood Restaurant). When we'd take vacations,we'd usually pack boxes with staples like wholegrain bread, peanutbutter, tofu pups and granola. But when I traveled to India in my 20s, I was delighted to learn thatvegetarianism is widely accepted there. In fact, a majority of thecountry is Hindu and do not eat meat or eggs. So, when I'd go intosmall, local restaurants there'd be one menu that said "Veg" and anotherthat read "Non-Veg," and the veg menu was usually larger! One time, my mother and I were in India visiting a Jain temple in themiddle of nowhere and we were really hungry. There were no restaurantsaround, but we learned that the Jains (a religous sect who practicetotal non-violence) run a cafeteria of sorts. We stopped in and sat down at a long table with a group of strangers and were immeditaly served steaming plates of dhal, curried vegetables and freshly made pooris. Fantastic! I'm lucky, because both my parents eat a vegetarian diet, and my husband has "converted." But when we visit my in-laws it's tricky. For Thanksgiving one year, I prepared a feast of lentil loaf, mashedpotatoes, green bean casserole and vegan pumpkin pie. Then we brought itall to my sister in-law's house were we offered to share with anyone who was curious. The pumpkin pie is always popular. There are so many to choose from, and I'm always seeking out newrecipes. I love the simplicity of Jamaican ital dishes (a stir fry ofcabbage and greenbeans served with coconut rice); the spice of Mexicancooking (chickpea stew with chilis and fried tofu) and the hot and coolflavors of Thai (lemon grass coconut soup). One of my all-time favoritesis the Ethiopian vegetarian plate served with lots of injera (sourdoughbread). I just got "Delicious Jamaica: Vegetarian Cuisine" by Yvonne McCalla Sobers for Christmas. It's a lot of fun. Tofu. I like tempeh, too, but I *love* tofu. Homemade (by my stepmother) granola with soymilk and a banana, blueberry, apricot and apple juice smoothie. Newswise (01/09/07) — Recent analyses have documented bias in pharmaceutical studies funded by industry. Now, an analysis from Children’s Hospital Boston finds a similar phenomenon in scientific articles about nutrition, particularly in studies of beverages. The analysis – the first systematic one performed on nutrition studies – found that beverage studies funded solely by industry were four to eight times more likely to have conclusions favorable to sponsors’ financial interest than were studies with no industry funding. Findings are published online in the January 9 issue of the journal PLoS Medicine. David Ludwig, MD, PhD, the study’s senior author and director of the Optimal Weight for Life (OWL) program at Children’s Hospital Boston, believes that bias in nutrition studies may have far greater effects than bias in pharmaceutical studies. Not only do the findings of nutrition studies receive frequent media attention, but they influence governmental and professional dietary guidelines, the design of intervention programs, and FDA regulation of health claims on foods and beverages. Because the researchers focused their analysis on soft drinks, juice and milk, they aren’t sure whether their findings extend to nutrition studies as a whole. “We chose beverages because they represent an area of nutrition that’s very controversial, that’s relevant to children, and involves a part of the food industry that is highly profitable and where research findings could have direct financial implications,” Ludwig says. The researchers began by conducting a Medline search of all existing scientific literature about soft drinks, juice and milk published during a five-year period (1999-2003). They retrieved 538 articles, of which 206 were eligible for analysis. Eligible articles had to look at health outcomes or disease markers, had to involve humans or human tissue, had to be classifiable as an interventional or observational study or a scientific review, and had to explicitly state the beverages’ effects on health measures. Of the 206 eligible articles, 111 declared financial sponsorship. To guard against bias, the studies were analyzed independently. One investigator selected the articles for inclusion according to pre-established criteria. Another two investigators, who had no knowledge of the financial sponsors, and who were not told the article’s author, title or journal of publication, classified the articles’ conclusions as “favorable,” “neutral” or “unfavorable.” A fourth investigator, who had no knowledge of the conclusions, determined the funding source (22 percent were funded entirely by industry, 47 percent had no industry funding, and 32 percent had mixed funding) and classified articles as to whether a favorable finding would be beneficial, negative or neutral to its funder’s financial interests. When analyzed statistically, article conclusions were significantly related to funding source. Interventional studies with all-industry funding were much less likely to have unfavorable conclusions than those with no industry funding (0 vs. 37 percent). Among all types of studies, comparing all-industry versus no-industry funding, the odds ratio for having a favorable versus unfavorable conclusion was 4.37, increasing to 7.61 when beverage type, publication year and examination of authors’ personal conflicts of interest were taken into account. The researchers note that during their five-year study, the overall proportion of papers declaring their funding sources increased, as journals tightened their disclosure requirements. However, taking publication year into consideration didn’t weaken the study’s findings. “This isn’t an effect that’s disappearing,” Ludwig says. The bias may take several forms, Ludwig adds. Although false data could be present in some studies, more likely the biases reflect subtle manipulations, such as framing the questions in a way that make the results more favorable to a sponsor. In other cases, papers with unfavorable results may simply go unpublished. Here's a great winter pasta recipe that's full of vitamin C and garlicky goodness! 1. Bring a large stockpot of water to boil. Add pasta, 1 teaspoon salt. Stir to separate and cook until al dente according to package directions. 2. While pasta is cooking, combine 1 tablespoon oil, garlic, lemon zest,1 teaspoon salt and pepper in a small nonstick skillet. Cook overmedium-high heat for 2 minutes. 3. 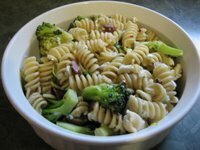 In the final minutes of cooking the pasta, toss in broccoli, return to boil and drain. Return to stockpot. 4. Add garlic mixture to pasta. Toss to coat. Stir in olives, parsley, lemon juice and zest, and feta; salt to taste. One of our first Veggie Heros, Dr. Amy Joy Lanou, is always busy promoting a healthy vegetarian diet in the national media. With the advent of 2007, Dr. Lanou was back at it again with this super editorial. She was gracious enough to share it with us. First he took top honors on American Idol. Then Ruben Studdard accomplished something truly spectacular—something many Americans feel they can only dream of doing. The silky voiced R&B singer recently announced that he had shed nearly 100 pounds. Now, Studdard is participating in a public education campaign to help people in Alabama—his home state—lose weight in the new year. Some may wonder whether even a very talented singer has anything to add to the public discussion about the obesity epidemic. After all, lawmakers and public health officials already seem to be scrambling to address what is increasingly viewed as America’s most pressing public health problem. But as a nutritionist, I believe that Studdard’s story actually has an important lesson for the millions of frustrated Americans struggling to maintain a healthy weight. That’s because one key step in Studdard’s weight-loss plan was adopting a vegetarian diet. When he is on tour, his contract allows only vegetarian food backstage. Scientists and physicians have known for quite some time that vegetarians tend to weigh less and stay healthier longer than their meat-eating peers. In fact, about a dozen studies published in the last two years support this finding. Research confirms what Studdard learned firsthand: Vegetarian and vegan eating styles are an effective and enjoyable way to lose weight. Take, for instance, two large reviews published in 2006 that show vegetarians weigh 3 percent to 20 percent less than meat-eaters and have healthier body proportions than meat-eaters. Nearly 20 percent of the U.S. adult population is obese; contrast that with Berkow and her colleague’s finding published in Nutrition Reviews that only 0 to 6 percent of vegetarians are considered obese. A second review from the United Kingdom supports those findings. It’s going meat-free that makes the difference. According to research published in the journal Obesity by Burke and colleagues, when individuals adhere to a low-calorie, low-fat vegetarian diet, they lose more weight and achieve greater decreases in blood cholesterol and blood glucose levels than if they follow a low-calorie and low-fat diet that includes meat. And in a study of nearly 22,000 people, Oxford University professor Timothy Key and his colleagues found that men who switch to a meat-free diet are less subject to the yearly weight gain that causes ever-expanding waistlines and clogged arteries in middle-aged omnivores. More to the point, though, is Barnard and colleagues’ finding published in the American Journal of Medicine that low-fat vegan (dairy- and egg-free vegetarian) diets lead to weight loss of about a pound a week without exercise and without limiting calories. That’s the key—by changing our meals to ones built entirely from fruits, vegetables, beans, and whole grains, we can continue to eat until we are satisfied and still lose some unwanted pounds. Even when compared with healthy omnivores of the same weight, vegetarians have lower risk of chronic disease because they consistently consume higher amounts of protective foods—fruit, vegetables, fiber-rich grains, and beans—according to findings published this year in the European Journal of Nutrition. Despite the research—and Studdard’s success— many people still don’t seem to be aware of how easy it is to experience this “magic” for themselves. It’s as simple as changing what one orders when eating out, spending more time in the produce and bulk aisles in the grocery store, and perhaps visiting a vegetarian recipe Web site or asking vegetarian friends for recipe ideas. Vegetarian items are everywhere—grocery stores are chock-full of them, restaurants usually have several on the menu, and even many fast-food restaurants offer a vegetarian sandwich or burger. Of course, there is no magical way to solve the obesity problem in the United States, but for every individual who chooses to take these easy steps to going meat-free, the nation will reap the benefits of reduced incidences of obesity, hypertension, diabetes, and cardiovascular disease. Whether or not weight loss is a personal goal for the new year, if we want to reduce our ecological footprints, live more compassionately, and improve our chances of staying healthy as we get older, we can choose to adopt a vegetarian diet in 2007. It’s as simple as apples, beans, and collard greens. Newswise (01/03/07)— Last week the U.S. Food and Drug Administration (FDA) announced that it has approved consumption of meat and milk from some species of cloned, food-producing animals. Here Dr. Gary Weaver, Director of the Program on Agriculture and Animal Health Policy, Center for Food, Nutrition, and Agriculture Policy (CFNAP) at the University of Maryland, answers questions about the decision, about the safety of consuming meat and milk of cloned animals and the science of cloning. 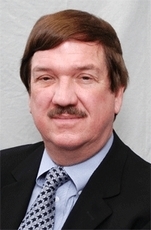 A licensed veterinarian, Weaver has been head of pathology at a veterinary diagnostic laboratory, mycotoxin researcher, practicing veterinarian, lawyer and legal consultant on animal health issues. He has served as expert in bioterrorism and counterterrorism for the FDA and the intelligence community. Dr. Weaver's comments may be used by media. What’s your opinion of the FDA ruling? Their conclusion that meat and milk from some species of animal clones – so far cattle, swine, and goats – and their non-cloned offspring are safe to eat is a good one. FDA experts have carefully studied all available scientific reports about animal cloning for more than five years. Concerns have been raised about the safety of meat and milk from clones, but the FDA reported in a new scientific publication that meat and milk from cloned animals and their non-cloned offspring are indistinguishable from those of traditional animals consumed by Americans every day. In fact, the only way to positively identify a clone is to certify that it has virtually the same genetic material as another animal that is not its identical twin. The FDA therefore concluded that food products from cloned cattle, swine, and goats are as safe for people to eat as those from non-cloned animals. In animal cloning, the genetic material from the male donor with the desirable traits is not diluted as it is in natural reproduction, when all genetic materials from donor and recipient are randomly mixed. Cells used in cloning are typical animal cells consisting of the relatively small, dense nucleus (containing virtually all of the cell’s genetic material) residing with other cell parts in the larger, surrounding cytoplasm – all enclosed by the cell membrane. The newest, most-promising cloning method first isolates a donor animal cell nucleus, then places it into a recipient’s egg with its nucleus removed. The resulting embryo is transferred to a female to carry to term. How are cloned animals different from traditionally bred animals? Is a cloned animal the same as a genetically modified organism, or GMO? There is nothing genetically modified because cloned animals contain only their own species’ traditional genetic material. There is nothing genetically added or subtracted either. Cloned animals and their non-cloned offspring are not genetically modified organisms because GMOs (aka, genetically engineered organisms or transgenic organisms - here, transgenic animals) all contain deliberately added foreign genes. Why are people concerned about cloning? The many reports of what may possibly go wrong with animal clones have proved to be not much more than exciting scientific fiction when compared to the rather dull findings that cloned animals are the ordinary animals people have raised and consumed for millennia. Will successful animal cloning bring us closer to being able to clone a human being? Cattle cloning procedures do not necessarily work in other animal species. Furthermore, the U.S. is only one small part of a growing global scientific research effort to understand animal cloning. Sadly, some recent U.S. public policies and opinionated activism threaten our scientific leadership in this and other areas of research. Are there any benefits to cloned animals over traditionally bred livestock? Cloning allows livestock producers to reduce, by years, the decade or so now required to get superior animals to market with the newly-identified, superior genetic traits of male animals which are then placed in artificial insemination breeding programs. USDA prime beef – currently about three percent of all beef steaks – could become our only grade of beef – and at affordable prices! Also, fewer superior dairy cows could produce the same quantity of milk while making less animal waste. It is noteworthy, however, that few cloned animals will actually be consumed by Americans any time soon, because they are too expensive to eat. For now, all cloned animals will likely be breeding stock that pass along their superior traits to their non-cloned offspring, which will end up on American dinner tables in time. With the dawning of a new year, many of us turn our thoughts toward improving our diets. But where do we start? There is an overwhelming amount of nutritional information in newspapers, magazines, books and online. It becomes so confusing to try to make sense of all the data, that many of us toss up our hands by the end of the month and allow our well-intentioned New Year's resolutions to fade away. We return to our former eating patterns with a nagging sense that there must be a better way. I believe that better way is built upon the foundation of simpler fare that is local, seasonal and organic. It is a call to return to the kitchen and place value on preparing whole, nutritional meals with intention. It is an answer to the longing for the meals our parents and grandparents enjoyed, while incorporating new or healthier ingredient. And it is what New Heritage Cooking is all about. I know that we are deeply nourished on all levels when we make familiar and delicious food with our own hands. And who said such traditional recipes can't incorporate updated ingredients? Look through your family's favorite recipes; most can be easily updated. To start, replace white flour with unbleached flour; iodized salt with mineral-rich sea salt; lard with organic butter; vegetable shortening with non-hydrogenated shortening; commercial milk with soymilk, rice milk or organic cow's milk... the options are limitless. From there we start to feel the flicker of change. We crave whole-grain hot cereal rather than an eat-on-the-go breakfast bar. We actually enjoy making a fresh salad over pouring a prepared one from a plastic bag. We feel good about making homemade cookies with healthy ingredients instead of buying mass-produced ones from the store. Slowly, so slowly, we remember that food is a sacred connection to the land, to the farmers, to our communities, to our bodies and to our families. And accordingly, our minds, bodies and souls begin to change for the better.